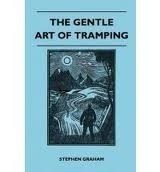 One of my Christmas gifts was a copy of ?The Gentle art of tramping? by Stephen Graham which is an absolute joy to read. First published in 1927 it is about the joy of rambling free and the Philosophy of travelling as a hobo without a care in the world. 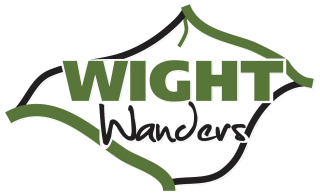 This time of year when the days are short and the weather frightful you can imagine yourself on a journey hiking by his side. The chapter titles cover topics such as the art of Idleness, the tramp as a cook and marching songs. Even though the book was written over 80 years ago It still relevant for today covering vital topics for all who love walking in the great outdoors such as how to get dry after a downpour and how to light a fire. His manner of writing is old fashioned but don?t let that put you off. You can imagine the eccentric British gentleman that he indeed was. I found myself agreeing with his observations and insights. Graham was a British journalist, travel writer and novelist. He wrote guides on travelling around pre-revolutionary Russia and a journey to Jerusalem. It is written in a light easy way that makes you smile his descriptions of landscape are imaginative. Here are a few quotes that I especially liked.
? The less you carry the more you will see, the less you spend the more you will experience.
? If you want to find out about a man, go for a long tramp with him.
? I am inclined to measure a tramp by the time taken rather than by the miles. If a hundred miles is covered in a week it is a longer tramp than if it is rushed in three days.
? You cannot tell till you?ve spent a night in the rain, or lost the way in the mountains, and eaten all the food, whether you have both stout hearts and a readiness for every fate.
? On the road the weak and strong points of character are revealed. There are those who complain, making each mile seem like three; there are those who have untapped reserves of cheerfulness, who sing their companions through the tired hours. But in drawing-rooms they would never show either quality. The road shows sturdiness, resourcefulness, pluck, patience, energy, or per contra, the lack of these things.
? Nothing in the present ever seems as good as what is past.
? In tramping you are not earning a living, but earning happiness. Certainly agree with the last quote I recommend all couples considering getting married should have a walking holiday as after a few days with feet full of blisters, little sleep and getting low on water peoples true character will appear! My copy came from Amazon where you can get new or used copies they also have down loads to go onto a Kindle. Looking on the Internet most large book sellers also have copies.